Air Force officers found bodies of 16 "little men" in a space ship that crashed near Aztec, New Mexico, according to a new book, "Behind The flying Saucers." 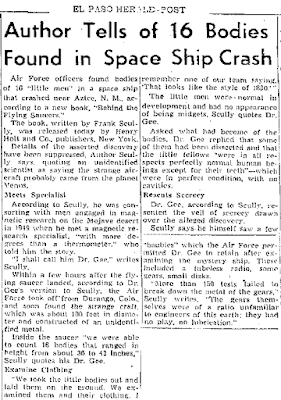 Within a few hours after the flying saucer landed, according to Dr. Gee's version to Scully, the Air Force took off from Durango, Colo., and soon found the strange craft, which was about 100 feet in diameter and constructed of an unidentified material. 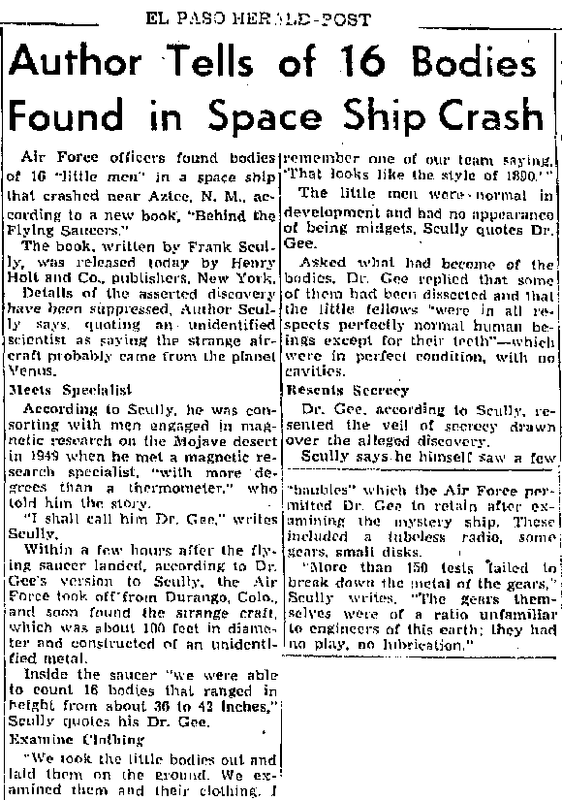 Inside the saucer "we found 18 bodies that ranged in height from about 36 to 42 inches," Scully quotes Dr Gee.